you’ll have to look far before you find one better …. Up to now the RKV (tube amplifier for dynamic headphones), developped and admitted to our distribution in 1982, is by far the most successful tube amplifier in our product range. 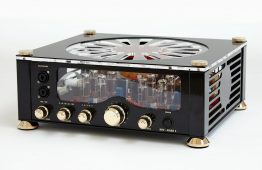 Traditional Tube technology has been abandoned and replaced by completely unorthodox approaches to create a concept which is still unique in the amplifier fabrication. Also it has not been resigned latest semi-conductor technology and so a product occurred which reflects 40 years of electronics. The German patent office has secured this idea 1984 with the number DE 3200 51. “Why headphone amplifiers” – so the Reader might ask. “Doesn’t my output at the receiver suffice?” The answer is simply No. Good, dynamic headphones have a high impedance. For high dynamic jumps, e.g. from CD-Players, they require much higher voltage levels than the supply voltage of transistor amplifiers, which would otherwise be a possibility. The same applies to Hi-Fi systems. So it was one requirement for the amplifier to bring high levels. Moreover it was important to achieve short-circuit strenght and excellent technical data, under the special note of tube sound. The existing concept possesses all this qualities. By reason of the conformation to high terminating impedances the OTL principle has been appropriated. This concept is geared now to the classic example of the so-called transformerless power amplifier. With the help of semi-conductor technology it has proved to be a felicitous symbiosis of the last 40 years electro-physics. Also all negative existing aspects of the tubes, like weathering and tolerance hum, had to be eliminated. The RKV-electronic manages this problems effortless. An Op-Amp in the signal path creates a servo circle that compensates all above mentioned negative characteristics of the tubes. It is even able to stabilize the operating point automatically, regardless the weathering of the tube, so that even older tubes continue working without problems. This automatic control circuit has no influence on the quality of the sound, even at the abrasion of the parts. 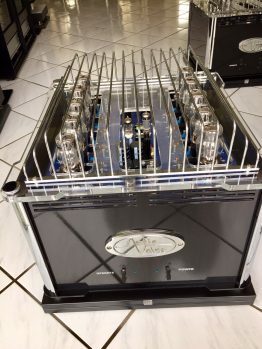 When judging the sound especially the high dynamic of the amplifier and the typical tube sound are to mention.The bass is tight and enormous, the middles are aery and from a liveley transparency and the high range shows an excellent release combined with transparent space. Other products on the market, which want to force their headphones to diabolic peaks by the use of smaller battery voltages or 40mWatt output power, just fail here. Cost-intensive headphones, for example by GRADO or AKG, require effort and just there the RKV is the only reasonable driver source. Of course the amplifer comes with all this qualities as well in his function as a pre-amplifer for power amplifiers. 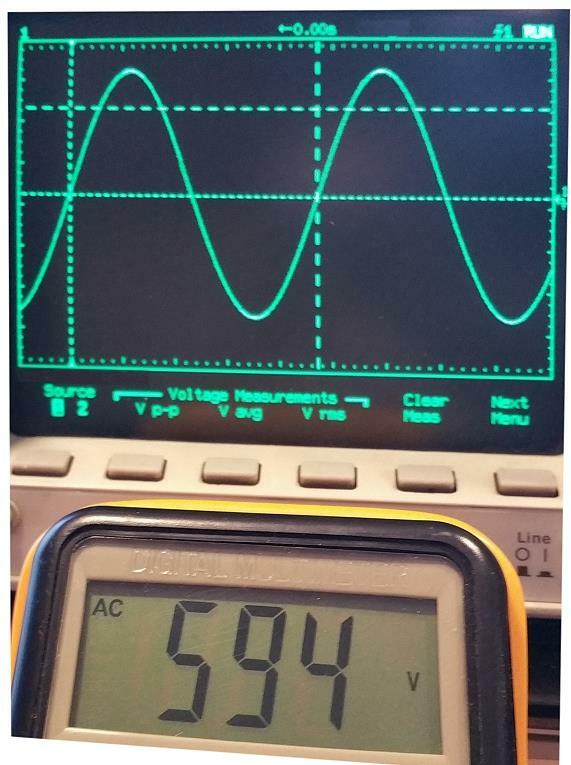 In this case the output voltage of the RKV is decreased to his 15th part and laid on another pair of Cinch Sockets on the backside of the amplifier. But there is even a third way of using the RKV. The performance of nearly 2*3 Watt is also adequate for driving loudspeakers. Therefore we use the so-called “Impedancer”, that reduces the output impedance of the RKV to the size of the loudspeakers impdedance. Basically high-class transmitters which scale down the output voltage. With loudspeakers starting from 93 dB you can receive an excellent musical result. The RKV as an universal genius in this three category groups of Hi-Fi technology has no competitor that is nearly able to hold a candle to him in this prize class. For all the people who only consider two of this mentioned possibilities for their own use the RKV is already the only right decision. The warranty is void if the top glass of the amplifier is taken within the warranty period. 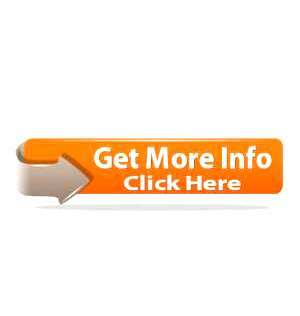 Also void the warranty, if other than that we offer tubes are used for the so-called „tube rolling“. To buynew tubes, please contact your dealer, he has recommended tubes on stock. Incidentally Tube Rolling is simply stupid in the models RKV, Luminare and Solaris. You can convince yourself byknocking on the tubes, they will not hear any knocking sounds in the headphones. 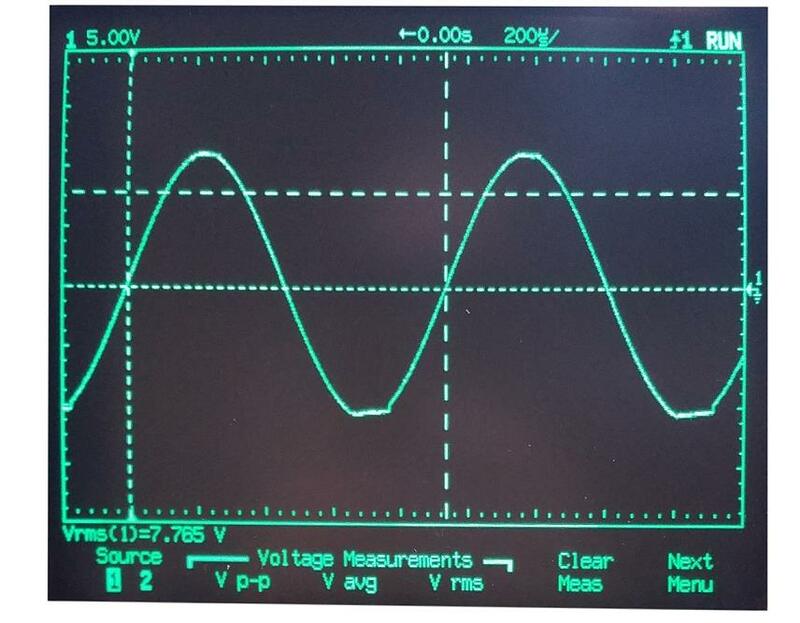 The following photo shows you a screenshot from the oscilloscope from a channel on RKV 2 – Model 2016 6F5P with attached Verto and 8 ohm load at the output. You see, this clearly represents the new model series more power at the output at your disposal, as the past has been the case. 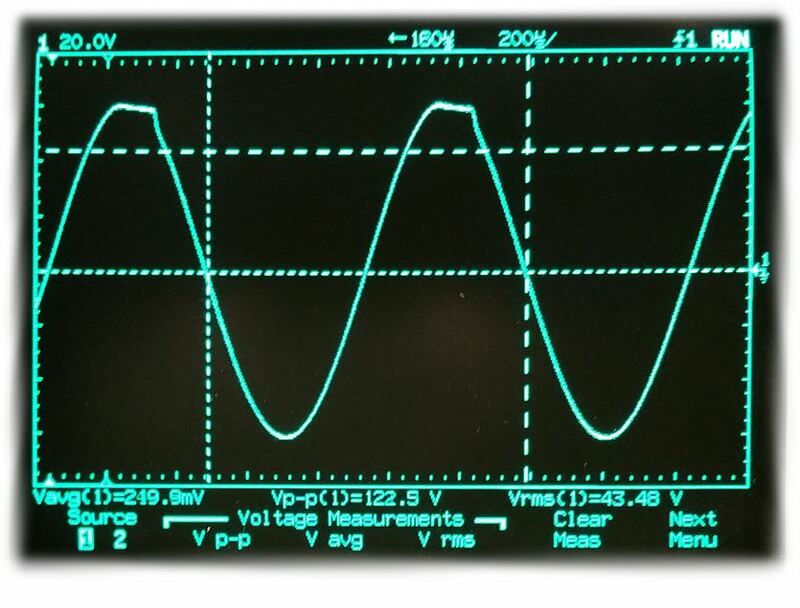 The re-sizing of some components and small circuit corrections deliver today on RKV 2 in OTL mode at the beginning of Soft Clipping per channel 8 watts.The following photo shows you a screenshot from the oscilloscope from a channel on RKV 2 – Model 2016 6F5P with attached Verto at the output of the STAX socket. Due to the increased power of the RKV 2 the yield of STAX signal now arises voltage is at Verto following measures. 1) For earphones with impedance lower than 100 Ohms, use the matching impedance provided by the original manufacturer. 2) For best sound effects, use high quality earphones. 3) This earphone amplifier brings out the most beautiful and comfortable sound without distortion. So please properly adjust the volume control to avoid too loud a volume that may damage your listening pleasure.On the RKV back panel, there are two sets of RCA terminals. Why two sets? This is because these two terminal sets are connected in parallel. When one terminal is used as the input, the other terminal can then be used for recording output or connected to the front amplifier. The panel has two earphone inlets. The manufacturer recommends that simultaneous use of two low impedance earphones is to be avoided.I have always had some doubts about the earphone amplifier: 20 years ago, there was no such thing as an earphone amplifier. Nor in a recording room I saw the sound man use such a device. Is it really necessary to buy an earphone amplifier and discard the traditional earphone equipment? AudioValve does think the earphone amplifier necessary or it would never be put into production. The modern audio signal source such as CD has wide dynamic range which is in fact the voltage range that drives the earphone. Earphone output from an ordinary amplifier cannot handle the wide range of voltage variation and hence fail to respond or give good performance. Targeting at the earphone amplifier, the AudioValve originator Helmut Becker set out his research. What would be the optimum voltage amplifier element? It is without doubt that the vacuum tube is the ultimate candidate. What is the limitation of a vacuum tube? We need to output sufficient current for a low resistance earphone. The first generation RKV was born in 1984. Then, the special PCL 805 pentode for TV use was employed. Next, the RKV Mark II adopted the OTL full vacuum tube differential amplifier circuit without output transformer. For this special purpose, AudioValve filed the patent rights of the circuitry (No. DE 3200 517). Helmut Becker considers this as a breakthrough of the 40 year progress in audio technology. Using the Op Amp for power supply coupled with complete vacuum tube amplifier for the signal path provides optimal combination of the vacuum tube and transistor technology. The circuitry uses the DC servo Op Amp network for power supply which automatically adapts to the routing conditions. The manufacturer claims that this circuitry will function normally throughout the lifetime of the vacuum tubes. We used to give advices on the earphone. Nonetheless, an earphone can never produce a heart-rending base energy like a large speaker. Testing an RKV Mark II on Sennheiser HD-580 (300 Ohm resistance) which I have used for years, I can feel the base frequency copiously reborn with every characteristic detail and controllability. The feeling becomes very close to the effect of a large speaker. Comparing to my Graham Slee Voyager, a portable earphone amplifier, I can instantly discern the superiority of RKV Mark II as I can feel a better listening. Where does this better listening come from? More characteristic details? I quickly switch between the two earphone amplifiers. I find not much difference in the characteristic details. But after long listening, I start to pick up the merit of RKV Mark II as its sound is broader, fuller, and more stable. There is the characteristic of thickness and relaxation that makes you feel very comfortable without any pressure. Also, the sound from the RKV Mark II possesses some warmth and luster of gold, yet without any antique tube noise. It is the warmth as well as the luster that brings out the quality of the string instrument. It provides more elasticity to the guitar sound. If using Beyerdynamic DT 990 Pro (250 Ohms), the difference becomes more pronounced. For Graham Slee Voyager, the volume must be turned to the 9 o’clock position to have more amplification gain and yet the sound drive is still not full enough. If changed to RKV Mark II, the sound becomes fully open and the dynamic state and stability are of first class. This brings out the real value of the flagship earphone device. As to the two low resistance earphones of AKG K240 Studio (55 Ohms) and Grado SR60 (32 Ohms), the performance can perfectly meet the standard requirement. But in reference to the earphone amplifier, the difference is not so obvious. To match the AudioValve with low resistance earphone (under 100 Ohms), we recommend the use of impedance matching device with a panel switchable between 8~64 Ohms in four divisions. The panel also should be provided with a speaker output terminal so that it can drive high sensitivity speakers. Indeed the RKV Mark II is quite expensive. However, according to my experience, a good earphone device can last for a long time and will never be outdated. Therefore, it is definitely a worthwhile and necessary investment. The RKV Mark II is absolutely the top choice of all the earphone devices. I believe that an audio fan should value their ear highly. Using the RKV Mark II is a royal class enjoyment. The re-sizing of some components and small circuit corrections deliver today on RKV 2 in OTL mode at the beginning of Soft Clipping per channel 8 watts. Patented circuitry, full vacuum tube OTL differential amplifier, 6.3mm stereo earphone inlet2, vacuum tube PCL8054, output power per channel 3W, bandwidth 15~100KHz, damping factor 3600, distortion 0.002%, maximum output voltage 80V, size 360200120mm, weight 10kg. 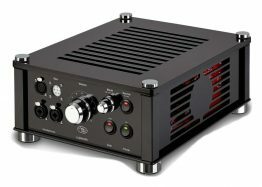 1) Special patented circuitry, OTL amplifier, stable and long lifetime vacuum tube. 2) Opulent sound carrying the luster of nobility with broad sound field. 3) Base frequency with detailed characteristics and controllability, a demonstration of high performance. 4) Strong drive to present a realistic earphone power. 1) For earphones with impedance lower than 100 Ohms, use the matching impedance provided by the original manufacturer. 2) For best sound effects, use high quality earphones. 3) This earphone amplifier brings out the most beautiful and comfortable sound without distortion. So please properly adjust the volume control to avoid too loud a volume that may damage your listening pleasure. On the RKV back panel, there are two sets of RCA terminals. Why two sets? This is because these two terminal sets are connected in parallel. When one terminal is used as the input, the other terminal can then be used for recording output or connected to the front amplifier. The panel has two earphone inlets. The manufacturer recommends that simultaneous use of two low impedance earphones is to be avoided. I have always had some doubts about the earphone amplifier: 20 years ago, there was no such thing as an earphone amplifier. Nor in a recording room I saw the sound man use such a device. Is it really necessary to buy an earphone amplifier and discard the traditional earphone equipment? AudioValve does think the earphone amplifier necessary or it would never be put into production. The modern audio signal source such as CD has wide dynamic range which is in fact the voltage range that drives the earphone. Earphone output from an ordinary amplifier cannot handle the wide range of voltage variation and hence fail to respond or give good performance. Patented circuitry, full vacuum tube OTL differential amplifier, 6.3mm stereo earphone inlet2, vacuum tube PCL8054, output power per channel 3W, bandwidth 15~100KHz, damping factor 3600, distortion 0.002%, maximum output voltage 80V, size 360200120mm, weight 10kg. Imported by Dean Lih Audio Company Ltd. (03-2127378). sort of thing that drives me crazy. sound anything like the others. not be heard through the ?phones. is displacement of the soundstage. reduced to a plane inside the head. soundstage that is no fun. types to prevent bleed from the ? with a set of modified Grado RS-1 ? amps and a custom set of d? speakers built by Richard Marsh. as it does with this thing. degree of detail you hear. decent warm-up ? and stopped. effective than that in the Max. form, it?s meant to drive ? perfect for driving the Grados. quite the same sense of ? about it made me want more ? so I could pop my ? its own stand or your top shelf. It?s a prototype EAR amplifier. accuracy in that sonic region. anyone. But the EAR ? when you move with the ? thing. That much is sure. that is the best of audio. to hear and see Holmes-Powell DCT-1. In the price vs.
performance/price, against which I must measure the RKV. included, but dominating with the RKV. For you audiophiles, Norah Jones sounded huge. about the kind of soundstage that makes me forget I’m wearing headphones. myself turning into a bass head. want scale in a small room with reflection problems know what I’m talking about—the nuance is gone. inability to drive low-impedance headphones, its high noise floor, and its lack of balance—at $1195. costs almost half as much, and it comes with cross-feed. For me, this just isn’t a contest. In the global spectrum of acoustics, “Made in Germany” always symbolizes preciseness and extreme high standards while its sound aesthetics represents a style of order, balance, strength, powerful action, self-restraint expression, decisive attitude and heroic spirit. (To illustrate with a pianist, Wilhelm Backhaus will be the very representation.) Besides, there is a major feature shared by the traditional German acoustics due to the consonants in German, whether being voiced, voiceless or even double consonants, they will always be produced clearly with powerfully cadence, which has virtually shaped the majestic and powerful style of German acoustics as well as the detailed and clear end sounds. 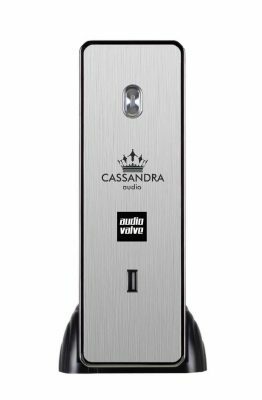 All those features mentioned above can be found in the brass brands such as T+A and Burmester as well as small brands such as MBL and Audio Valve. Noticeably, the German Sound based on the nationality tends to be more evident at small German brands and this is because the brass brand acoustics will adjust to local tastes according to aesthetic standards of different areas during the process of globalization. While the small brands are free from such problems and can do better in upholding its own style, and therefore it is more common to hear sounds from ASR and Audio Valve with strong German flavor. Audio Valve is owned by Helmut Becker, whom I neither know nor meet in person. And I even don’t know how he entered this industry of acoustics. However, based on limited information from the English world, with a particular and strict taste, he will do everything himself. He won’t stop midway unless he has developed the product to the best, or publish the key techniques unless he has obtained patent rights. You can search for Helmut Becker’s life story on the internet. Otherwise, you can catch a glimpse of his personal style from the Audio Valve products because “You are What You Create”. With a distant view, people will tend to associate RKV MK2 with its sister product MBL due to the black framework and golden knobs, and also connect it with another small yet refined brand: ASR, because of its acryl cover, which is as thick as 1cm. As far as the overall view is concerned, RKV MK2 impresses people with its majestic and magnificent style peculiar to German. However, why the acryl cover? According to the study of material and sound, the acryl plate is smooth, gentle, soft and flexible with good music performance. It can also filter tiny details and noise in acoustics. Metal materials, which increase details, linearity yet with a sharp and hard tone, and the acryl plate are mutually complementary. And the proportion of mixture will indicate the ability of sound tuning of each manufacturer. Since Helmut Becker, who is famous for his particular taste, applies the design of acryl cover, it will definitely show his tuning skills. As to the music performance, I will talk about it later as I share my personal view about RVK MK2. What we know for sure in the least is that, the manufacturer who applies the acryl cover must be very proud of its circuits subconsciously, and don’t worry about the plagiary problems (after all the product is protected by patent rights) and tests by experts. Therefore, what is special about the circuit design of RVK MK2? Its amplification circuit applies the structure of OTL zero-output transformer and double single-track vacuum-tube differential amplification. Designed in this way, basically, vacuum tubes take the full control of the output of amplifier. In other words, Helmut Becker is very confident of the performance of vacuum tubes. What kind of tubes does RKV MK2 apply? They are PCL 805 (18GV8) of Elektronska Industrija (EI), which used to be applied as the five-stage tube on TV set. Frankly speaking, except RKV MK2, I can’t remember of any amplifier manufacturer, which has ever applied this kind of tube for amplification. With these rare tubes, Helmut Becker shows qualities and specialities, which will be testified soon later. I’d like to remind you of its signal amplification circuit, which connects the Operation amplifier as DC server with four Ei PCL 805 tubes, and many ICs and active/passive units placed nearby for the purpose of bias regulation, which comprises the special design of bias regulation for vacuum-tube amplifiers. And this famous patent of ABR (Automatic Bias Regulation) of Audio Valve will not only integrate qualities of transistors and tubes, supply a maximum output voltage of 80V, a high voltage output of 3 W (100-400?) for each track, and the standard impedance factor as high as 3600, which is enough to drive any kinds of headphones with various impedances and voltages (the manufacturer states that the headphones can range from 32 to 2000 on its website), but also automatically adjust the output power of each tube according to its working conditions so as to minimize their effects on the performance of RKV MK2. 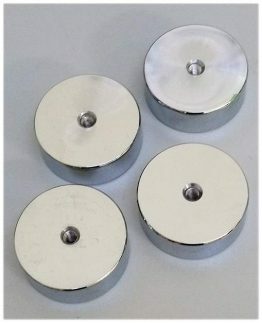 Then, even it becomes necessary to replace tubes, replacing one tube is enough for one time and the tube matching and complete replacements are not necessary. To sum up, ABR is definitely helpful with stabilizing the performance and extending the lifespan of tubes. By the way, the former version of RKV Mark II, the so-called second version, was designed in 1982 to celebrate the 25th anniversary of the brand. In the formal test, I applied the USB DAC digital current Onix DAC25A as signal source, Furutech GT2 as leads, and windows 7 + Foobar2000 + WASAPI as playing software, and the control group consists of DA&T HA-1A and Kingrex HQ-1, and as to the headphones for reference, I have tried AKG K701, Sennheiser HD800, Grado RS-1 and Denon AH-D7000, with various test results, among which AKG K701 did the best on the whole because it didn’t change the original characteristics and brand features of headphone (I think this point is of special importance to the fundamentalists of headphones), and therefore, all the following opinion comes from the arrangement of RKV Mark II with K701. Within half an hour after turning on, RKV Mark II played extremely comfortable music, soft and smooth in tone, with a strong flavor special to tube amplifiers; however, something was missing in its music quality, and that was like the wine, which had not been decanted and therefore tasted a little acerb, was short of sweet aftertaste. However, after half an hour of warming up, its performance was totally different. It activated its full potentials so that the weak point of being loose and short of power at bass frequencies was fully recovered, and the bass sound became more condensed, powerful, and flexible and clearer, which continued smoothly with clear arrangements, grain and rich scales. What’s more fascinating is that the musical cadence was taken fully under control when RKV Mark II was used to drive K701, which was quite difficult to see in tube-structured amplifiers. Who can say no to such powerful and clear bass frequency quality? It was not only K701 that could make such fascinating chemical transformations; however, when RKV Mark II was connected with HD800, which performed unsatisfactorily at bass frequencies, or other headphones, the performances at bass frequencies were all improved. The differences just lied in how better for each headphone or, with the bass frequency being improved, whether it could harmoniously join in with tweeter frequencies. Obviously, with RKV Mark II as the drive, as far as musical qualities such as tone, density, speedy and resolution were concerned, the tweeter and bass frequencies of K701 joined in more closely and smoothly; while playing human voice, the midrange frequencies could improve the resonance within the singer’s chest and the eruption as well as the sturdy linearity (fleshliness), which made the music sound stronger, vivid and dynamic. In addition to the warm treble, it also could filter noise, embellish the music, and make necessary compression to avoid Peak break, and with all these together, human voice sounded more vivid, emotional and touching. Warm, strong, clear, pure, soft, comfortable, pressureless, low base noise and high resolution were the key points I constantly wrote down when I listened to different headphones such as K701 that were driven by RKV Mark II, and only when K701 was connected with it, could I put down so many advantages (certainly with the most notes). 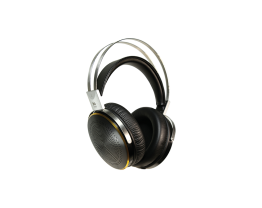 Furthermore, as we known, K701, which lacks in base sound, is a kind of headphone with strong temperament, which will be lost as most amplifiers try to power it up; if the temperament of headphone is fully taken care of, it is usually unavoidable to limit the types of music that K701 can play. Back to RKV Mark II, it will not only bestow K701 with powerful momentum, but also reserve its original refined temperament. Sorry, I shall say it becomes better. Finally, there were improved results as RKV Mark II was connected with various headphones, and it was because it extended the depth of the sound field and at the same time strengthened impression of being surrounded by sound. Take the arrangement with K701 as example, the open-designed K701 could not create such vast found field as that of HD800 and HD650, which could be described as open and natural (especially natural). Driven by RKV Mark II, the sound field, compared with the control group, became deeper and broader with clearer resolution as well as clearer arrangement and position. What’s more surprising was that the sound image was created right before one’s eyes instead of his head, and its sound field could cross over the upper limit of “180 Degree Line of Headphones”—Joan Baez’s Diamonds and Rust in the Bullring. Listening to this album, the cheer and applause of the audience on the back were also reproduced vividly making a live impression of “as one falls, another rises”. It could be found that this amplifier did quite well in reproducing details and vividness in open space. 1) Connexion breveté speciale, amplificateur OTL, le tube de vide stable et de longue vie. 2) Le son opulent portant le brio de noblesse avec un Sound field large. 3) La fréquence de base, des caractéristiques détaillées et la contrôlabilité, une démonstration de haute performance. 4) Une forte poussée pour présenter une performance d`écouteurs réaliste. 1) Pour écouteurs avec une impédance inférieure à 100 ohms, utilisez l’adaptation d’impédance fournie par le fabricant original. 2) Pour obtenir les meilleurs effets sonores, utiliser des écouteurs de haute qualité. 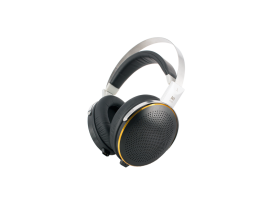 3) Cet amplificateur casque fait ressortir le son le plus beau et confortable, sans distorsion. Alors s’il vous plaît régler correctement la commande de volume pour éviter un volume trop fort qui peut endommager votre plaisir d’écoute. Sur le panneau arrière du RKV, il ya deux couples de terminals RCA. Pour quoi deux couples? Parce que cet deux terminals sont connectés en parallèle. Quand un terminal est utilisé comme l’entrée, l’autre peut ensuite être utilisé pour l’enregistrement de sortie ou connecté à l’amplificateur avant. Le panneau a deux entrées écouteurs. The manufacturer recommends that simultaneous use of two low impedance earphones is to be avoided. Le fabricant recommande que l’utilisation simultanée de deux écouteurs à basse impédance doit être évitée. J’ai toujours eu des doutes sur l’amplificateur casque: Il ya 20 ans, il n’y avait pas une telle chose comme les écouteurs amplificateur. Ni dans une salle d’enregistrement, j’ai vu l`assistant de son que vous utiliser un tel dispositif. Est-il vraiment nécessaire d’acheter un ampli casque et jeter le matériel écouteurs traditionnels? AudioValve croire aux nécessaire d`amplificateur casque ou il ne lui serait jamais mise en production. La source de signal audio modernes comme le CD possède une large plage dynamique qui est en fait la gamme de tension qui anime l’écouteur. Sortie casque d’un amplificateur ordinaire ne peut pas traiter le large éventail de variation de tension et, partant, ne répondent pas ou donner de bonnes performances. L’amplificateur casque avoir pour but, l`origine d`AudioValve, Mr. Helmut Becker, a commencé sa recherche. Quel serait l’élément amplificateur de tension optimale? Il est sans doute que le tube à vide est le candidat final. Quelle est la limite d’un tube à vide? Nous avons besoin de courant de sortie suffisante pour un casque à faible résistance. La première génération RKV est né en 1984. Ensuite, la spéciale PCL 805 pentode pour utiliser la télévision a été employé. Ensuite, le RKV Mark II a adopté l’ensemble du tube à vide OTL amplificateur différentiel circuit sans transformateur de sortie. Pour cette destination particulière, AudioValve à déposé les droits de brevet du circuit (n ° 3200 DE 517). Helmut Becker considérez cela comme une percée de l’état d’avancement 40 années dans la technologie audio. Utilisation de l`amplificateur OP pour l’alimentation couplé avec un amplificateur à tube à vide complet pour le trajet du signal offre une combinaison optimale du tube à vide et de la technologie des transistors. Le circuit utilise l`amp DC servo OP réseau pour l’alimentation s’adapte automatiquement aux conditions qui routage. Le fabricant affirme que ce circuit va fonctionner normalement pendant toute la durée des tubes à vide. UNE FRÉQUENCE BASE DE TOUS DETAILS ET LA CONTRÔLABILITÉ Nous avons utilisé pour donner des conseils sur l’écouteur. Néanmoins, un écouteur ne peut jamais produire une base de l’énergie déchirante comme un grand haut-parleur. Quand testé un RKV Mark II sur Sennheiser HD-580 (300 ohms de résistance) que j’ai utilisé pendant des années, je peux sentir la fréquence de base caractéristique copieusement renaît avec chaque détail et la contrôlabilité. Le sentiment devient très proche de l’effet d’un grand haut-parleur. En comparant à mon Graham Slee Voyager, un amplificateur de casque portable, je peux instantanément discerner la supériorité de RKV Mark II que je peux sentir une meilleure écoute. D’où cela vient d’une meilleure écoute? Plus de détails caractéristique? Je basculer rapidement entre les deux amplificateurs écouteurs. Je ne trouve pas beaucoup de différence dans les détails caractéristiques. Mais après longtemps d’écoute, je commence à chercher le mérite de RKV Mark II que le son est plus large, plus entière et plus stable. Il est la caractéristique de l’épaisseur et de détente qui vous fait vous sentir très à l’aise, sans aucune pression. Ainsi, le son du RKV Mark II possède un peu de chaleur et brio de l’or, mais sans aucun bruit tube antique. C’est la chaleur ainsi que le brio qui met en valeur la qualité de l’instrument à cordes. Il offre plus d’élasticité au son de guitare. Si vous utilisez Beyerdynamic DT 990 Pro (250 Ohms), la différence devient plus prononcée. Pour Graham Slee Voyager, le volume doit être tourné sur la position 9 heures pour avoir le plus augmentation d’amplification et pourtant le lecteur son n’est toujours pas assez pleine. En cas de modification de RKV Mark II, le son devient entièrement ouverte et l’état dynamique et la stabilité sont de première classe. Cela porte la valeur réelle de l’appareil phare de l’écouteur. 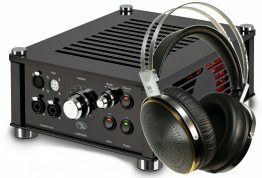 Quant aux deux écouteurs à la résistance bas AKG K240 Studio (55 ohms) et Grado SR60 (32 Ohms), les performances peuvent parfaitement répondre à l’exigence standard. Mais en référence à l’amplificateur de casque, la différence n`est pas si évident. Pour faire correspondre l`AudioValve aux écouteurs avec une faible résistance (moins de 100 ohms), nous recommandons l’utilisation du dispositif d’adaptation d’impédance avec un panneau commutable entre 8 ~ 64 Ohms en quatre divisions. Le panneau devrait donc être muni d’une terminale de sortie haut-parleur afin qu’il puisse piloter les parleurs à haute sensibilité. En effet, le RKV Mark II est assez cher. Cependant, d’après mon expérience, un dispositif écouteur bon peut durer longtemps et ne sera jamais dépassée. Par conséquent, il est un investissement utile et nécessaire. Le RKV Mark II est absolument le meilleur choix de tous les dispositifs écouteur. Je crois que d’un adhérent d`audio devrait valeur son oreille hautement. Utilisation de la RKV Mark II est un plaisir classe royale. amp, he told me that I favored tube sound (I do), and asked if I had heard the Audio Valve RKV Mark II. somewhat weak, instruments have adequate weight. RKV can with certain recordings. because this system rocked so much. Not many amps feed my love for distortion and wicked midbass. Joni Mitchell album. I see why so many like the RKV. Sennheisers. That makes this a $1230 system. linearity, and separation—are addressed. The RKV, even with the Impedancer, only gets two correct. Der bisher in unserer Produktpalette mit Abstand erfolgreichste Röhrenverstärker, ist der 1984 entwickelte und in den Vertrieb aufgenommene RKV, was soviel heißt wie, RÖHRENVERSTÄRKER für DYNAMISCHE KOPFHÖRER . Traditionelle Röhrentechnik wurde hier über Bord geworfen und mit völlig unortodoxen Lösungswegen ein Konzept geschaffen, was bislang im Verstärkerbau einmalig geblieben ist. Aber auch auf modernste Halbleitertechnik wurde nicht verzichtet und so entstand ein Produkt, in welchem sich 40 Jahre Elektronik widerspiegeln. Das dt. 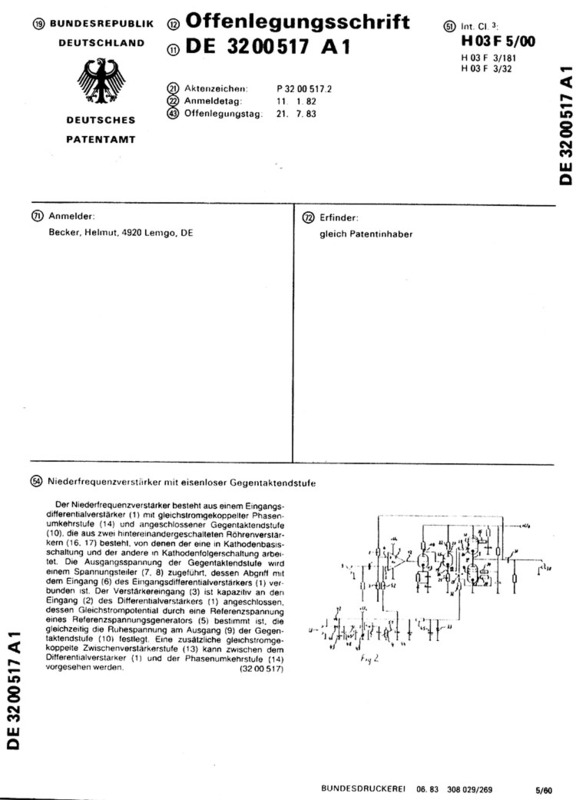 Patentamt hat diese Idee 1984 unter der Nummer DE 3200 51 geschützt. Warum so könnte der Leser fragen – Kopfhörer verstärker ? Genügt da nicht mein Ausgang am Reseiver? Die Antwort lautet ganz einfach Nein. Gute dyn. Hörer benötigen für hohe Dynamiksprünge – wie sie z.B. von CD Playern kommen – aufgrung ihrer hohen Impedanz Spannungspegel, die weitaus höher sind als die Versorgungsspannung von Transistorgeräten. Dies gilt auch für HI-FI Anlagen. Hohe Pegel zu bringen war also eine Bedingung die der Verstärker erfüllen sollte. Darüber hinaus galt es Kurzschlußfestigkeit und ausgezeichnete techn. Daten zu erzielen unter der besonderen Note des Röhrenklanges. Alle diese Eigenschaften besitzt das vorliegende Konzept. Eine kleine deutsche Firma möchte mit einem Röhrenverstärker Kopfhörer zu Höchstleistungen anspornen. Helmut Becker, 30, hatte eine großartige Idee. Er wollte etwas konstruieren, was nirgendwo zu kaufen war. Und dafür gab es einen guten Grund. stereoplay untersuchte im Test, ob der Dynamp der kleinen Firma Audio Valve in Lemgo das vom Konstrukteur versprochene Ziel erreicht. Immer dann nämlich, wenn er Lust hatte, seine HiFi-Anlage aufzudrehen, vermiesten ihm lauthals protestierende Nachbarn sein Klangerlebnis. Wenn er sich aber verärgert den Kopfhörer überstülpte, konnte er ebensowenig frohen Herzens genießen. Denn die Wiedergabe mit seinem 800-Mark-Verstärker konnte ihn nicht zufriedenstellen. Was lag also für den gelernten Elektronik-Techniker, der in der Medizingeräte-Technik tätig war, näher, als einen Kopfhörer-Verstärker zu bauen, der höchsten Qualitätsansprüchen gewachsen war? In der Tat ist die Idee nicht schlecht, denn mancher HiFi-Freund, der Aktivboxen besitzt, muß auf Kopfhörer-Wiedergabe verzichten, wenn sein Vorverstärker keinen entsprechenden Anschluß besitzt. Es gibt aber auch Musikliebhaber, die aus Platz- oder Kostengründen nur Mittel-Klasse-Lautsprecher besitzen und über Kopfhörer Musik hoher Güte hören wollen – die weitaus billigste Art, HiFi zu erleben. Becker ist Anhänger der guten alten Röhrentechnik. Er studierte sehr genau gewisse Vorteile dieses einstmals glorreichen Bauelements gegenüber den modernen Halbleitern, die heute in allen HiFi-Komponenten zu finden sind. Für sein spezielles Vorhaben boten sich zwei Eigenschaften besonders an: Elektronenröhren können an hochohmige Lasten vorteilhaft angepaßt werden, wie sie dynamische Kopfhörer mit ihren typischen 600 Ohm darstellen. Und für elektrostatische Hörer, die nach extrem hohen Spannungen von einigen tausend Volt verlangen, bieten die Röhren geradezu ideale Voraussetzungen für harmonsches Zusammenspiel. die Röhren eher Nachteile besitzen – etwa in der Eingangsstufe oder bei Kontrollaufgaben für die Endstufenröhren -, setzte er folgerichtig Transistoren und integrierte Schaltkreise ein. Der Dynamp besteht also aus einem sinnvollen Gemisch von Halbleitern und Röhren (Hybid-Verstärker), wodurch sich Becker ein gewisses Optimum verspricht. Äußerlich demonstriert der Verstärker kaum sein komplexes Innenleben. Das simple, schwarze Lochbiech, das als Ab- deckung dient, erinnert eher an Billig-produkte als an ein Qualitätsgerät. Die goldeloxierte Frontplatte zeigt ebenfalls, daß Audio-Valve noch eine sehr junge Firma ist, die vom Marketing nicht allzuviel hält. Becker verzichtete bewußt auf teures Finish und steckte das Geld lieber in die Elektronik. Zum Hörtest steckte der Dynamp am ,,Line“-Ausgang des Referenz-Vorverstärkers Onkyo P-3090. Als Kopfhörer diente der dynamische DT 880 Studio von Beyer (Test stereoplay 5/1982), den die Tester abwechselnd am Onkyo und am Dynamp betrieben. Es waren nur wenige Hördurchgänge mit unterschiedlichem Musikprogramm notwendig, um festzustellen, daß es gravierenden Unterschiede gab. Der Audio Valve reproduzierte über Kopfhörer alles, was in den Rillen steckte, sauber und natürlich. Untadelig und volle Kraft brachte er dynamische Passagen oder auch getragene Stellen. Solostimmen wie komplexe Orchester kamen über die Kopfhörer in brillanter Darbietung ohne jede Verfärbung. rather curious presentation of “ clearly – dark „. insistence(emphasis) for the acute percussions and harmonious acute of the violin, the tiring future. more refined, but without being an outstanding leader in dynamism. Thus I have in the end a small preference of 007t2 + 007mk3 with regard to727 + 007mk3. articulated, very readable, less intense than those of 007, but far clearer; the grave extreme is very present. alive, dynamic, but a little bit hard, “ a little bit raw „. 007 mk3, but a little bit it’s a pity with 009 which has him no problem in the acute extreme. increase the potentiometer of volume of the RKV, without limit or almost. little bit flat and disinfected as that of 007t2.